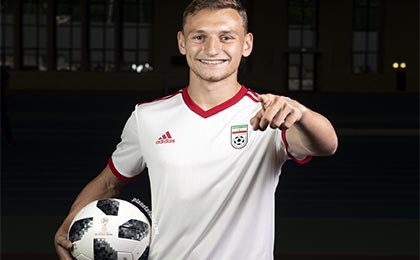 If you want to buy cheap iran shirt for 2018-19 season, buy it here in cheap-football.com , Check our exclusive range of iran Football Shirts / Soccer Jerseys and Kits for adults and children at amazing prices. Get the cheap iran jersey shirts, soccer kits with wholesale price, Free Shipping Worldwide! The Iran national football team represents Iran in international football competitions and is governed by the Iran Football Federation. From December 2014 until May 2018, the national football team of Iran remained the highest-ranked team in Asia, representing the longest continuous period of time a team has been top of the continent in the rankings.Iran is one of the most successful national teams in Asia with three Asian Cup championships (1968, 1972, and 1976). Iran's best performance at the Olympics was reaching the quarterfinals in the 1976 Montreal Games. Iran has qualified for the World Cup five times (1978, 1998, 2006, 2014, and 2018) but has never advanced past the group stage. They have, however, won two matches in the World Cup, one against the United States in 1998, and their opener against Morocco in 2018.